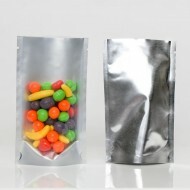 As flexible packaging represents the future of packaging, stand up pouches are at the forefront of items leading the charge. 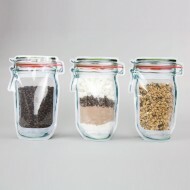 They have replaced everything from coffee tins (#10 cans), animal food containers, tin cans and many, many more. 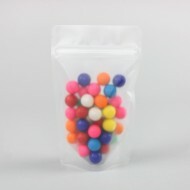 As a company in business for almost 30 years, IMPAK has had the opportunity to manufacture and stock more stand up pouches than almost any other company we are aware of. 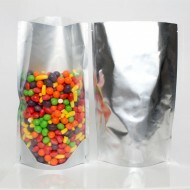 In addition to the numerous pouches in stock at any time, we specialize in providing customer specific films and sizes every single day. 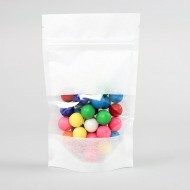 Need a pouch with a window? DualTrack ZipSeal? 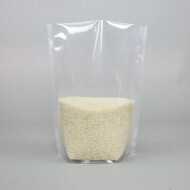 Powder ZipSeal? Retort? These are all features we specialize in and are more than happy to discuss with you should you need something that you do not see on this page. 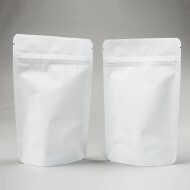 We will be producing all of our stock stand up bags with rounded corners as our current inventory is depleted and new production runs are scheduled. 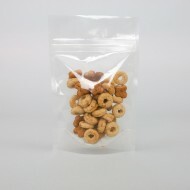 As a service to our customers, we can still produce pouches with square corners. 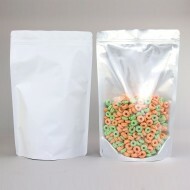 Since stand up pouches production runs are in the 180,000 – 420,000 unit volume, please bear that in mind. 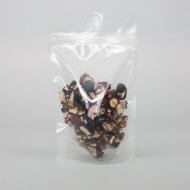 Custom short run will require pricing provided by our cost engineering department. 10.0" x 12.0" x 5.0" O.D. 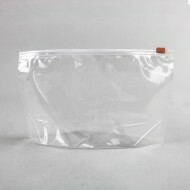 Clear Stand Up Pouch with Tear notch and No Zipper 250/case .. 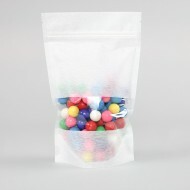 Size: 12.0" x 9.0" x 4.0" Specialty Slider Zipper Bag. 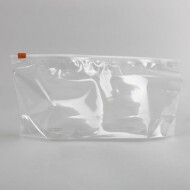 Clear stand up pouch with white slider zip..
About: 14.5" x 13.75" x 6.0" OD Matte Black Stand Up Pouch with ZipSeal, Tear Notch and Roun..
About: 14.75" x 16.75" x 5.0" O.D. 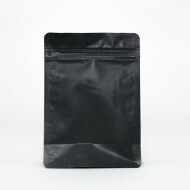 Matte Black Stand Up Pouch with ZipSeal and Tear Notch ..
3.125" x 5.0" x 2.0" OD Clear/Silver Bag stand up pouch with tear notch and NO ZIPSEAL Perfect fo..
3.125" x 5.0" x 2.0" OD Kraft MylarFoil Stand Up Pouch with Rounded Corners, ZipSeal and Tear Notch ..
About: 3.125" x 5.0" x 2.0" OD White MylarFoil Stand Up Pouch with ZipSeal, Tear Notch, and Round..
4.0" x 6.0" x 2.0" O.D. 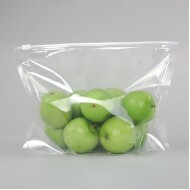 PAKVAC4.7K stand up pouch with zipper and tear notch Quantity: 1,000/Case.. 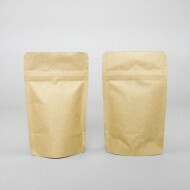 Size: 4.0" x 6.41" x 2.25" Kraft MylarFoil Stand Up Pouch with ZipSeal, Tear Notch and Rounded Co.. 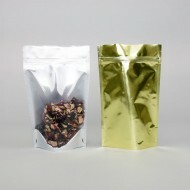 Size: 4.0" x 6.41" x 2.25" OD Mylar Foil Stand Up Pouch with Rounded Corners. 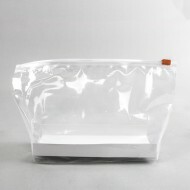 ZipSeal and T.. 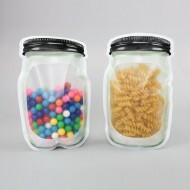 Size: 4.0" x 6.41" x 2.25" Stand Up Pouch with Window and Rounded Corners Rice Paper 1000/c.. 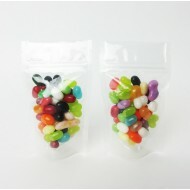 Size: 4.0" x 6.41" x 2.25" Stand Up Pouch with ZipSeal, Tear Notch, and Rounded Corners Transp..
5.0" x 8.0" x 2.5" O.D. 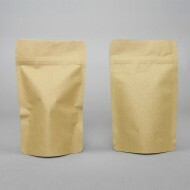 PAKVAC4.7K stand up pouch with zipper and tear notch (1,000/Case) .. 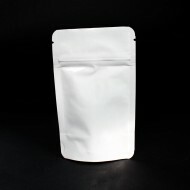 Size: 5.0" x 8.0" x 3.0" Stand Up Pouch with Rounded Corners Transparent Matte Frost 1000/c.. 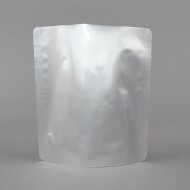 Size: 5.0" x 8.0" x 3.0" Vista/Gold Stand Up Pouch PAKPM5/PAKVF4 1000/case ..
5" x 8" x 3" OD Clear/Silver Stand Up Pouch with tear notch - NO ZIPSEAL; Perfect for single u.. 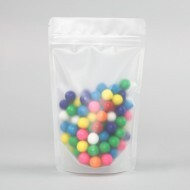 Size: 5.0" x 8.0" x 3.0" Stand Up Pouch with ZipSeal, Tear Notch, Window, and Rounded Corners ..
5” x 8” x 2.5” OD Kraft MylarFoil Stand Up pouch with ZipSeal and TearNotch 1000/case Size: ..
6.0" x 2.875" x 8.25" PAKVF5M black Side Gusset flat bottom pouch with Pull Zipper (500/Case) ..
6.5" x 8.0" x 2.5" O.D. 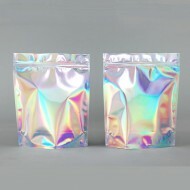 Holographic Stand Up Pouch with ZipSeal and Tear Notch 1000/case ..
About: 6.68" x 7.5" x 3.0" O.D. 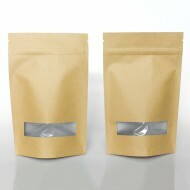 PAKVF4PCA Stand up pouch with 2 sets of tear notches Quantity:..
About: 7.625" x 11.75" x 4" OD Vista/Matte White MylarFoil stand up pouch with ZipSeal, tea..
6.625" x 9.875" x 2.75" O.D. Mason Jar with Black Lid Stand Up Pouch with Zipper and Plow Bottom ..
6.25" x 8.825" x 3.25" O.D Mason Jar Stand Up Pouch 1200/case Reusable zipper bags printe.. SIZE: 8.25" x 4.25" x 2.75" Red Slider Zipper 2.75 mils 250/case .. SIZE: 8.25" x 4.25" x 2.75" with insert Red Slider Zipper 2.75 mils 250/case .. 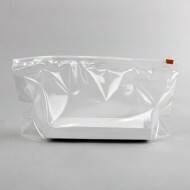 SIZE: 9.75" x 4.5" x 23.75" Red Slider Zipper 2.75 mils 250/case .. 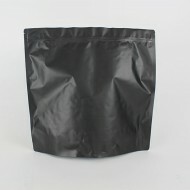 SIZE: 9.75" x 4.5" x 23.75" with Insert Red Slider Zipper 2.75 mils 250/case ..
3.125" x 5.0" x 2.0" OD Black MylarFoil stand up pouch with ZipSeal and Tear Notch 1,000/case ..
3.125" x 5.0" x 2.0" OD Transparent Stand Up Pouch with ZipSeal and Tear Notch 1,000/case ..